The US, the UK and many other countries have become far less equal over the past 30 years. The MIT economics professor Daron Acemoglu says it's important we understand how and why this happened, and what it means for our societies. Inequality is in the news a lot right now. How should we be thinking about it and trying to get our heads around it? Inequality is one of the things that has changed quite a lot in the United States and other economies over the last three decades or so. A lot of things don’t change radically, but inequality has. Understanding why that has happened and what it implies for our society is important. So it’s a good thing that it’s in the news, it’s an important topic and there is no reason for it to be taboo. Having said that, there is no broad consensus among social scientists about how to talk about inequality, and the average economist probably thinks about it very differently than the average layman. I’m not saying one is right and one is wrong, but the conversation needs to be expanded to bring these different viewpoints to the table. The default position of economists is that inequality reflects the unequal human capital or productive capabilities of different workers. 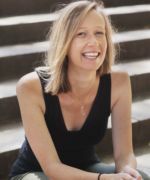 If you start with that premise – that what people earn is commensurate with their contribution to their employer, and also perhaps to society – then greater inequality tells you something about how people’s productivities have evolved over time. This is by no means what every economist believes, but it’s a common view. 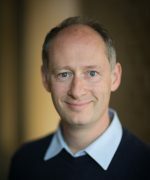 Economists have cut their teeth on inequality by looking at things like the increase in the college premium over the last 30 years in the US and other economies, as well as the increase in the gap between relatively high earners – the 90th percentile of income distribution – versus the bottom 10th percentile. We’ve seen a big increase in inequality, measured in various ways, and this reflects the fact that the top people, the more educated, high earners have become more skilled. Technology has favoured them, globalisation has favoured them, and inequality has increased for that reason. So if a CEO is earning $5 million a year, that’s because he deserves that $5 million? That’s why I put emphasis on the 90th versus the 10th percentile, because once you get to that very high level, the story becomes a little harder to swallow. Economists have, for the most part, not focused on the CEOs for two reasons. This is changing, but one reason is that most of the publicly available data sources don’t have information on CEOs. That’s because there are not that many CEOs, or multimillionaires. So when you take a sample – for example, a 1% sample of all the US households – you’re not going to get many of them. Secondly, data are top coded. You don’t actually see people’s exact earnings. You see that they are at the very top, which might be $250,000, but you don’t see if they’re making $25 million. For that reason, a lot of the labour economics literature has focused on things like, do people with college degrees earn more than high school graduates? Do postgraduates earn more? What has happened to earnings inequality among lawyers or doctors or among production workers? What do non-economists think, in your view? My caricature of a layman’s view is that inequality is an indication of something that is failing in society. If a group of people used to earn twice as much as another group of people, and then, over 20 years, that ratio increases to four, that’s something that is concerning and might indicate a failure of social policy. My own view is a mixture of the two. If you’re looking at the average college graduate versus the average high school graduate, or the 90th versus the 10th percentile, then the things economists have emphasised – technology, globalisation, offshoring and outsourcing, changes in the supply of skills, et cetera – have played a major role and probably tell the bulk of the story. But if you want to understand the top inequality, why the top 0.1% – even more than what the 1% Occupy Wall Streeters are talking about – have been earning such huge amounts, then really you have to think about the social policy aspects of it and the politics of it. There is perhaps some sort of failure in how our system is working. In terms of the actual figures, how bad is inequality in the US and, say, the UK? Based on the work of Thomas Piketty and Emmanuel Saez, if you look from the 1950s up to the end of the 1970s, the share of total national income in the US earned by the richest 1% was about 10%. If you look at the 2000s, it’s well over 20%. It rose up to nearly 25% and then came down. In the UK it’s at about 15%, up from 7% or so. The trend towards inequality over the last 50 years has been very similar in the Anglo-Saxon economies, though it’s important to say that it’s not just an Anglo-Saxon phenomenon. There are similar trends in many economies, though there are a few that haven’t experienced it to any notable extent. Finland and Sweden. Even there, there’s been an increase in the top percentile share – which is not so surprising, given they have many multinational companies where the CEOs make a lot of money – but the increase is much less pronounced. The share of the national income that the top one percentile captures is significantly lower. One table that‘s been making the rounds on Facebook is a comparison between CEO and worker salary. For example, in Japan the ratio is 11 to one, in Germany it’s 12 to one, but in the US it’s 475 to one. Does that sound right to you? I don’t know the numbers off the top of my head, and it would depend on which CEOs you include in the list. But in the US the ratio of CEO to worker pay is very, very high. If you look at the average pay of Fortune 500 companies, it would be more than 200 times the salary of the average US worker. This is certainly higher than what the comparable numbers would be in most other countries. I never know whether to trust figures like that, when you don’t really know where they come from. That’s true even of the numbers you get from economists. There are many different ways of measuring these things. For instance, if you look at labour income, then the share that the top 1% captures is lower, because a lot of their income comes from capital gains. Which numbers you’re looking at is very important. Let’s go through your books. 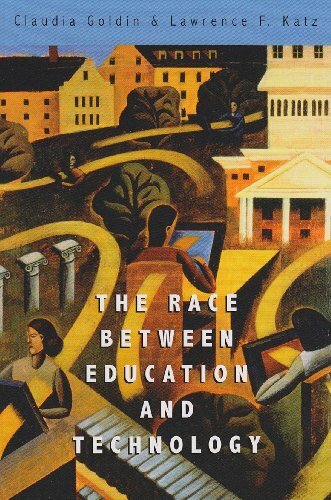 Your first choice is The Race between Education and Technology, published by Harvard University Press. You mentioned in an earlier email to me that it is “a must-read for anyone interested in inequality”. Tell me more. This is a really wonderful book. It gives a masterful outline of the standard economic model, where earnings are proportional to contribution, or to productivity. It highlights in a very clear manner what determines the productivities of different individuals and different groups. It takes its cue from a phrase that the famous Dutch economist, Jan Tinbergen coined. The key idea is that technological changes often increase the demand for more skilled workers, so in order to keep inequality in check you need to have a steady increase in the supply of skilled workers in the economy. He called this “the race between education and technology”. If the race is won by technology, inequality tends to increase, if the race is won by education, inequality tends to decrease. The authors, Claudia Goldin and Larry Katz, show that this is actually a pretty good model in terms of explaining the last 100 years or so of US history. 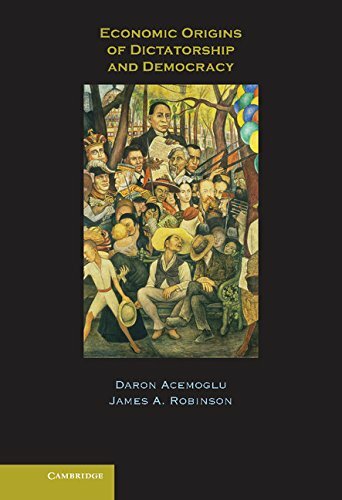 They give an excellent historical account of how the US education system was formed and why it was very progressive, leading to a very large increase in the supply of educated workers, in the first half of the century. This created greater equality in the US than in many other parts of the world. They also point to three things that have changed that picture over the last 30 to 40 years. One is that technology has become even more biased towards more skilled, higher earning workers than before. So, all else being equal, that will tend to increase inequality. Secondly, we’ve been going through a phase of globalisation. Things such as trading with China – where low-skill labour is much cheaper – are putting pressure on low wages. Third, and possibly most important, is that the US education system has been failing terribly at some level. We haven’t been able to increase the share of our youth that completes college or high school. It’s really remarkable, and most people wouldn’t actually guess this, but in the US, the cohorts that had the highest high-school graduation rates were the ones that were graduating in the middle of the 1960s. Our high-school graduation rate has actually been declining since then. If you look at college, it’s the same thing. This is hugely important, and it’s really quite shocking. It has a major effect on inequality, because it is making skills much more scarce then they should be. Do Goldin and Katz go into the reasons why education is failing in the US? They do discuss it, but nobody knows. It’s not a monocausal, simple story. It’s not that we’re spending less. In fact, we are spending more. It’s certainly not that college is not valued, it’s valued a lot. The college premium – what college graduates earn relative to high-school graduates – has been increasing rapidly. It’s not that the US is not investing enough in low-income schools. There has been a lot of investment in low-income schools. Not just free lunches, but lots of grants and other forms of spending from both states and the federal government. So there’s no easy solution? No, there is no easy solution. 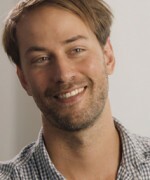 But it is important that this becomes a top priority. There are many things that can be done. Reforming schools and spending more on schools are not silver bullets, but they will certainly help. It’s ironic, when the US has the best universities in the world. You’re Turkish, but you’re here. Lots of foreigners have ended up here precisely because of the education system. Yes, but it cuts both ways. The US has been a land of opportunity, so it has attracted skilled engineers, scientists, and PhDs. On the other hand, one of the contributors to low high-school and college completion rates is that the US is open to immigrants of all sorts, and the integration process is often slow. If you look at high-school and college completion rates of immigrants, especially Hispanic immigrants, they are much lower that those of non-immigrants. 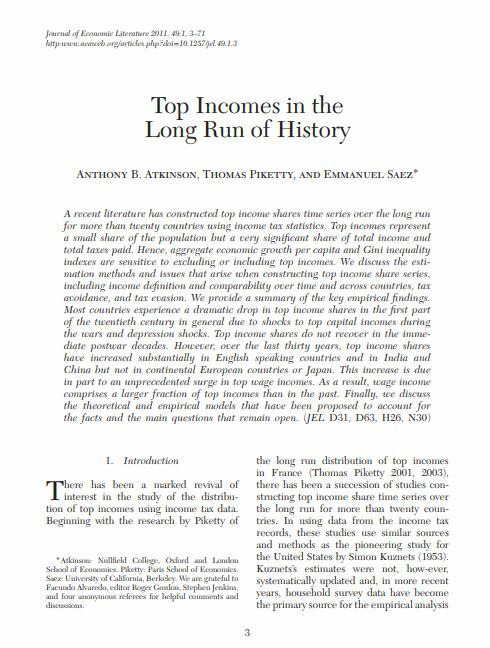 OK, so let’s go on to the article you’ve chosen, “Top Incomes in the Long-Run of History” by three European economists, Anthony Atkinson, Thomas Piketty and Emmanuel Saez. What’s missing from the Goldin and Katz book is that they really don’t look at all at what’s going on in the top 10%. That’s a very important part of the story, and one that requires more attention. Some very interesting things have been going on in the top 10%, and especially the top 1%. Atkinson, Piketty and Saez have really been pioneers in this and this article is an overview of much of their research. What the paper shows is that concurrent with the increase in the college premium and inequality between a median worker and a worker at the bottom, there has been an even sharper increase in the share of the top 10% and top 1% in national income in the US, Canada, UK and so on. What’s important about this paper – is it the figures, or the explanations they give? For me, it’s more relevant for the figures, to know what’s been going on. Occupy Wall Street has brought the 1% to the attention of the wider public, but it was Atkinson, Piketty and Saez who brought it to the attention of the academic community over the last decade. But it’s definitely worth reading their explanations, because some of the things they say are important. For example, they emphasise that it’s very difficult to account for these figures with the standard labour supply, labour demand explanation that Goldin and Katz emphasise. That’s not going to work, and we really have to think about things like social policies, progressive taxation and the politics of it. Yes, this pattern is very remarkable and the Anglo-Saxons have led it. You also see it in many other countries, including France, Italy, Spain and so on, but it’s not as pronounced as in the Anglo-Saxons. It is also important to note that this U-shape applies to the picture that emerges from non-top inequality as well, such as 90th percentile vs 10th percentile or the college premium. For example, Goldin and Katz’s book shows that the college premium was higher in the early 1900s than it was in the 1940s and 1950s. Then it remains stable for several decades, and then it starts increasing again in the 1980s. When it refers to top income, are they focusing on the top 1% or top 10%? They use the data from the tax records, so they have data on the top 10%, the top 1%, the top 0.1% and so on. The two they choose to focus on are the top 10% and, especially, the top 1%. Sometimes they even give numbers for the top 0.1%. There you really see striking differences between countries. If you look at the 0.1%, it accounts for almost 8% of national income in the US, when in many countries it’s more like 1% or 2%. It’s also increased dramatically in the US – in the 1950s it was about 3%. One of the things they point out is that top income shares in the US and the UK started to increase during the Reagan and Thatcher administrations. Isn’t rising inequality just the result of Reagan and Thatcher reducing taxes on the rich? I personally don’t think that’s the main thing, though it certainly played a role. It played a role for capital income. When you look at the top 0.1%, many of them are capital earners. So if you tax capital heavily, then the rich are not going to have as much capital left and capital income is not going to be as unequally distributed. There is a very mechanical effect from taxation there. But there are two other, more subtle, effects from taxation. One is that more progressive taxation – higher taxes at the top – may discourage people from working very hard and putting in effort. That will reduce their earnings and thus inequality. That may be inefficient, but it’s one of the things that happen when you have high taxes. Secondly, it might change the way in which people bargain with their companies and engage in “rent-seeking” activities in order to increase their pay or their bonuses. In the extreme – and I don’t think this contributes a lot, but just to illustrate – if top incomes were taxed at 99%, then no CEO would be tempted to do semi-illegal things in order to increase his pay, because there would be nothing to gain from doing so. If the top tax rate is 30%, on the other hand, and CEOs get pay from options, they may be tempted to do things like the Enron CEO, Kenneth Lay, did, because they get a lot of money in return. So while high tax rates at the top may inefficiently reduce these people’s labour supply, it may also reduce their rent-seeking activities. 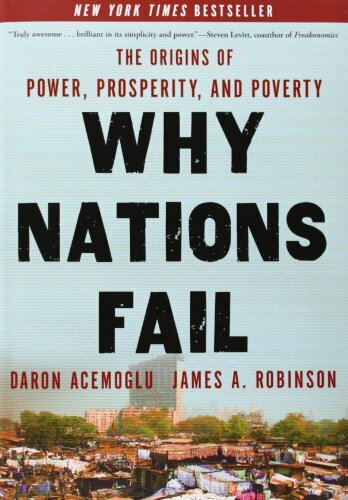 OK, so to get more of a sense of your own view, let’s talk about your book, Why Nations Fail: The Origins of Power, Prosperity and Poverty. In terms of understanding this top inequality, I mentioned the possibility that it might be about politics. How should we think about politics? What are the levers of politics? For that we need a conceptual framework and that’s what this book tries to provide. It’s co-authored with my long-term collaborator and friend Jim Robinson – and it’s not about US or UK or Canadian inequality. It runs through several thousand years of history, and tries to explain how societies work and why, often, they fail to generate prosperity for their citizens. It’s a very political story. At the centre of our framework is the tension between people who have political power and how they can use that power for their own interests and against the interests of the rest of the society. We don’t live in a zero-sum world – and there is a lot of prosperity-creating capability that many societies have exploited – but there are also some zero-sum aspects. Often there will be tensions within society, about who is going to get the biggest slice, and people will try to manipulate the entire fabric of our institutions in order to get that slice. So that’s the narrative we develop for understanding how societies have developed their institutions. 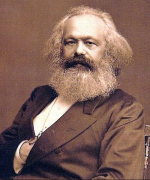 The absolutist institutions created a very unequal distribution of political power and a very unequal distribution of economic gains in society and the two became synergistic – the very unequal distribution of political power locked in a very unequal distribution of economics gains. This created a vicious circle, but the conflict it engendered sometimes led to a breaking down of the institutions that this unequal distribution depended on, opening the way for more open institutions, which are one of the engines of prosperity. The last part of the book is the converse story, which is how these inclusive institutions, which create a more equitable distribution of political power and so a more level playing field, are going to be constantly challenged. These inclusive institutions don’t guarantee that everything is going to be equally distributed but will at least prevent the most egregious and unfair distribution of resources. They also ensure a more equal distribution of political power in society. But there is no guarantee that they will last for ever. If you are able to garner a little more support, and a little more political power, the danger that you can start tweaking these institutions to your benefit is always present. There are continuous challenges to the inclusive nature of political institutions. So in this framework you can see the threat of the increased inequality in the US as a symptom of the sorts of challenges to the fairly inclusive set of institutions that the US has had for over 200 years. In short, you can’t be complacent about your political institutions just because they’ve worked well up to now? No, and we give examples of how other societies have seen about-faces in their institutions. For example, Venice. It started with unparalleled inclusive institutions for its time, and then went through a process whereby these institutions became more and more controlled by a smaller clique and ultimately reversed the progress that Venice had made. So you think the relative prosperity of a nation is not to do with its geography, climate or culture, but with its political system? Oh yes. I never thought that that was a very controversial point of view, but it is, I know. We are conditioned to think of factors such as culture and geography as so determining because we see them as immutable. They’re there and therefore they must be important. How could it not be important that Mexico City is so much warmer than New York? How could it not be important that some people are Muslim and others are Christian? But actually none of it is really as obvious as it appears. In early chapters, we document how many parts of the world that are very prosperous today were relatively backward at the time Europeans arrived to colonise them. Yet places like Mexico or Peru were then among the most civilised and developed. It was the set of political and economics institutions that were differentially imposed on these places that led to a reversal and a divergence. The same thing is true for cultural and religious values. The association between these and economic outcomes has not been immutable. Often they are consequences of the different political histories that these places have endured. So is a society that is more equal always better and more prosperous? There are three different concepts here. One is equality of political power. The second is equality of opportunity, and the third is equality of economic outcome. It would be a very inefficient society if we imposed equality of economic outcomes, because the engines that create prosperity do require individuals to have property rights, to have incentives, so that they put in effort, work hard and invest. That will inevitably be associated with inequality, but if you try to stop that inequality it will create lots of inefficiencies and probably choke prosperity. To give you an example, taxing software entrepreneurs would definitely not be the best way of trying to encourage the technological leadership that the US has. But it’s different when you’re talking about equality of opportunity. If you don’t have equality of opportunity, it’s going to create not only an unfair society but also one that doesn’t deploy its resources in the best way. Going back to the software example, if you want to increase the technological ingenuity of the US, what you want to do is to provide a platform that gives an opportunity for the best minds to actually be able to choose the occupation that they want. And when that’s software, that’s going to create better innovations in software. Even more important is equality of political power. When political power is very unequally distributed, it will inevitably be the case that those who have the political power will start using it to create a non-level playing field for themselves. They will try to use that political power to dispossess the rest and grab stuff that benefits them and harms society. I am totally comfortable, from a personal point of view, with economic inequality emerging if that really reflects the different social contributions that individuals make. It’s a price that we pay for providing incentives for people to contribute to prosperity. But there is one caveat to that. If, in the end, income becomes very unequal, even if it’s for good reasons, it might create dynamic problems, because those who have become very rich now control so much of the resources of society that they might start using those resources for creating an unequal distribution of political power. And you think that’s where we’ve got to in the US? Yes. The real worry is that as inequality has increased in the US, and perhaps because the nature of our political system has changed for other reasons, money has started becoming much more important in politics. Politicians have become much more responsive to the wishes and the views and the voice of the very wealthy. 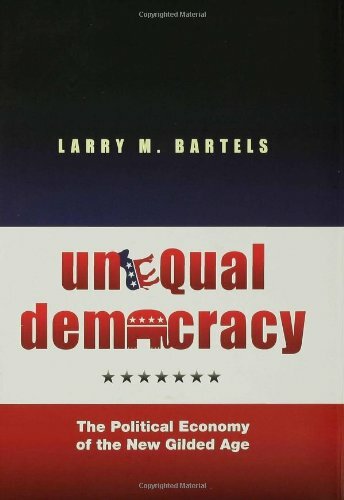 That’s what Larry Bartels’s book, Unequal Democracy, is about. There are parts of it that you may agree with, there are parts of it you may not agree with, but I think it paints a very alarming picture of how our democracy has become much more unequal. So elected officials don’t much listen as much to ordinary Americans as they do to rich people? Exactly. And do we know that for sure? No. But I think Larry Bartels has provided enough suggestive evidence and there are lots of other case studies and anecdotal evidence that suggests that that is true. What is the cause? We know that much less well. Certainly some of it is because of lobbying and campaign contributions, but I’m not sure all of it is because of that. Some of it is because we have this image of being a meritocracy and American society respects the views of the very successful. The politicians like to hang out with the successful; they get their advice from the successful.
. He was spitting blood that Obama was in town again, not for constructive reasons, but to attend yet another fundraiser on the Upper East Side. Inevitably, rich people are going to have more influence when every politician from the president down constantly needs money from them. They constantly need money, they like talking to them, they respect their opinion. Jeff Sachs and I have had many differences but in this case I fully agree with him. That’s what’s interesting about Occupy Wall Street. Its supporters aren’t just crazy lefties who don’t believe in free markets, but respected economists. I’m definitely in that camp. I do believe in markets. I passionately believe in the importance of property rights and private property. I think they are absolute sine qua nons for prosperity. But I also believe that these things are very political and the politics shouldn’t be one-sided. Gore Vidal said, “The United States has only one party – the property party. It’s the party of big corporations, the party of money. It has two right wings; one is Democrat and the other is Republican.” If that is true, that’s a real threat to a free market and a fair society. For that reason I think Occupy Wall Street is very important. It’s a grassroots movement that tries to stand up to this tendency of our political system. 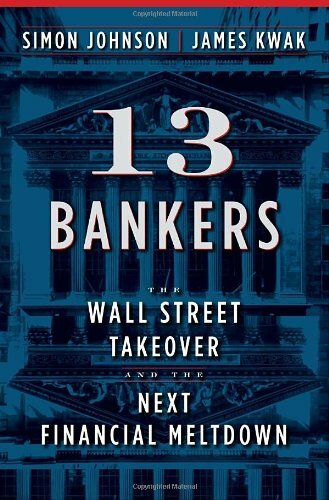 So your last book, 13 Bankers, is by Simon Johnson, the former chief economist of the IMF, and James Kwak. They argue that in spite of the role they played in the financial crisis, the big banks have grown bigger, more profitable and more resistant to regulation than ever. This book documents how powerful the financial services industry has become, precisely on the issues the financial industry has a stake in. Because whenever you have any problems with finance or the macro-economy or the stock markets, what do the Fed officials do, and what do the Treasury officials do? They call the bankers. We were talking about how the US has become more unequal and political power more unequally distributed. This is a two-way process – as the rich become richer they have more respect from us, their voices are heard more, they have more money to spend on campaign contributions and lobbying, and they become more powerful. That enables them to rig the game in their favour, by getting rid of regulation, by reducing their tax rates, by getting subsidies for their businesses and so on. That’s the big picture. The finance industry is the best exhibit for that story, and 13 Bankers tells that story wonderfully. It shows how the finance industry became what it is, not because of its genius – though obviously there were some very smart people – but because, politically, we got rid of some regulations. We also allowed banks to make huge profits through a system in which there were implicit government guarantees for their risk-taking. Then, after the financial crisis came, the finance industry was politically powerful enough that it actually prevented any sort of radical reform. On the contrary, the most important major banks became bigger and continued to dominate the economy, and the share of the largest seven banks has actually increased significantly since 2006. I lay a lot of blame for inequality on greed, corporate greed. No, I don’t blame greed. Everybody is greedy to some degree. Greed is part of human nature and you can’t blame human nature! The key is to have institutions that make sure that the human urges that we have are channelled in the right direction. We want people to be ambitious. We don’t want to say that Steve Jobs shouldn’t have been ambitious. He was ambitious and he was greedy and that was a good thing, because his greed and ambition were channelled in a creative way. The problem is that in society over the last 20 years – and Wall Street is a poster child of this – we have created a platform where the ambition and greed of people, often men, has been channelled in a very anti-social, selfish and socially destructive direction. The risk-taking that for Steve Jobs and Bill Gates led to innovation has led to exploitative behaviour and risk-taking at the expense of the government and poor people for the Wall Street bankers. What’s to blame are the institutions. We have let our institutions fail. This is a political problem and the solution is also political. What I mean is that we have to make sure that the political institutions in the US have the same resilience that they showed at the turn of the century, during the Gilded Age. At that time we had a situation where a small fraction of the population was very wealthy, and extremely powerful. Money in politics was everywhere. But, in the end, there was a progressive movement. It was a populist movement that became part of the mainstream political parties, both Republican and Democrat. It led to Teddy Roosevelt and Taft and Wilson taking action – passing laws against trusts, against the financial industry, against the role of money in politics. It really changed the picture. That was an instance when there was a significant challenge to the inclusive institutions in the US, and the institutions proved resilient. We have to do the same thing now. It cannot be something we dream up in our ivory towers – it’s something that the American people have to take part in. It has to be a grassroots movement. Will it be Occupy Wall Street? No, I don’t think so. But it’s still important because it’s indicative of how a grassroots movement can develop, and it’s already articulating what many people feel is unfair and wrong about the political system. At the moment, the political parties are not really listening, but I am an optimist. Perhaps in the next few years, there will be more openness to their complaints, and the political system can self-regulate itself. Isn’t part of the problem that US voters vote on the basis of cultural issues like abortion and gay marriage, and against their economic interests? There is some of that. 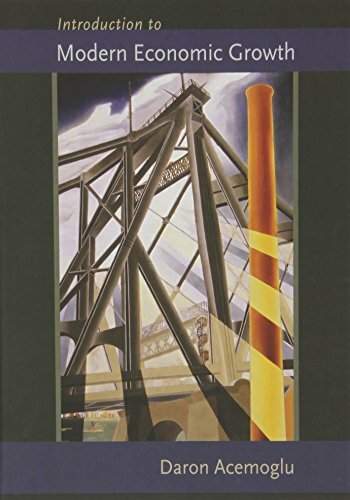 The Thomas Frank book, What’s the Matter with Kansas? is about that. In some ways, it’s the opposite of the Larry Bartels book. There is truth to both of them. But the Larry Bartels narrative appeals much more to me. It’s not that people are so stupid as to be systematically voting against their interests – it’s just that once the political system becomes so unresponsive to what’s going on at the bottom, then whatever the bottom votes for or wishes is not so important. At that point, perhaps they are more likely to vote on the basis of secondary concerns.